INDIANAPOLIS -- The accountability grades for more than 1,800 Indiana schools were released Tuesday. About 350 schools received an A grade from the Indiana Department of Education. 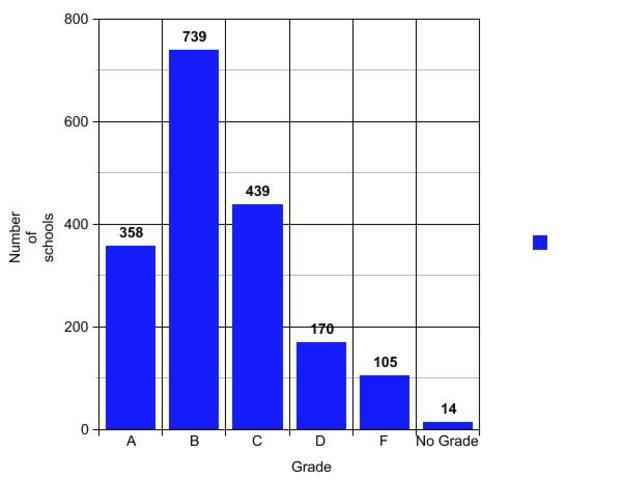 The most common grade was a B, with 739 schools earning that grade. “I want to thank Indiana’s students, educators and families for their countless hours of work over the last academic year.," Indiana Superintendent of Public Instruction Glenda Ritz said in a release. "This year, Indiana implemented a new student-centered school accountability system utilizing Indiana’s new, more rigorous standards and assessments for the first time." Twenty-eight IPS schools received an F.
For a full list of all Indiana schools, click here.